Charisma +1: The Guide to Convention Etiquette for Gamers, Geeks & the Socially Awkward is the rather long and descriptive title of the book by Jessica Brawner that aims to give pointers and share experiences at conventions for those who are less skilled at the social interaction. With all the recent – understandable – talk about the matter in the last few months, to have this book at hand is something a lot of people should consider. Never a bad idea to read a few pointers! I was indeed very curious about it and very curious to find out what was inside the book, as I was curious to find out how it’s been written to avoid being patronising or confrontational, so an interview was on order. And find out I did and I now can’t wait to buy that book and have a proper read! 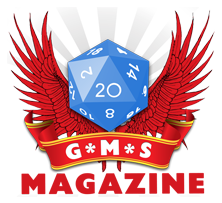 PreviousPodcast Episode – The RPG Room: Is there art in roleplaying games? The RPG Room: James Bond, dilemmas and Klug, Chris Klug.